Clean water is the lifeblood of the St. Johns River and its tributaries. Our wetlands, forests, riparian zones adjacent to waterways, and aquatic plants provide the habitat and food sources that sustain healthy plant, fish, and wildlife populations. Unfortunately, the ecological health and integrity of the St. Johns River system is threatened due to years of neglect and the cumulative impacts of a growing population. St. Johns Riverkeeper is a privately funded organization that fights on behalf of the St. Johns River and the public to whom it belongs. Their mission is to be an independent voice that defends, advocates, and activates others for the protection and restoration of the St. Johns River. Join us on November 21st @ 6:30 p.m. for refreshments followed by the presentation at Swaim Memorial United Methodist Church, 1620 Naldo Ave., Jacksonville, FL. Did you know that the National Audubon Society’s web site has a Spanish version? ¿Prefieres ver Audubon en español? Haz clic aqui. Happy 80th Birthday Hog Island Audubon Camp! This year marks the 80th anniversary of the Hog Island Audubon Camp. It is a wonderful summertime getaway for anyone interested in birding, nature or the outdoors. 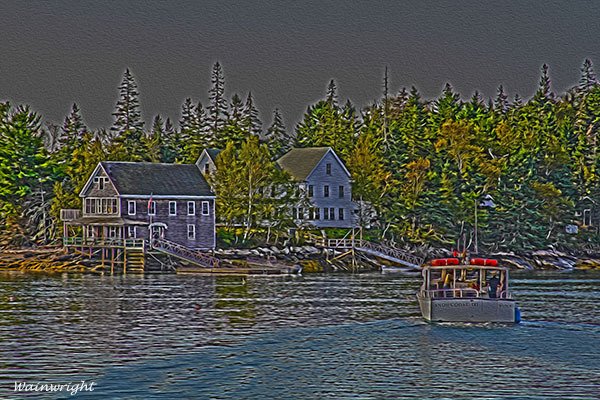 Located off the coast of Bremen, Maine, about an hour north of Portland, Hog Island offers campers an intensive six-day experience including classroom instruction from world-renowned birding experts, field trips, nature hikes, and a boat trip to a successful Atlantic Puffin colony. Hog Island is named for the livestock that once roamed the island, although none remain today. In 1908, Dr. David Todd and his wife Mabel Loomis Todd visited the island and fell in love with its natural beauty. Concerned about haphazard logging and overgrazing on the island, they purchased it and built a bungalow where their daughter Millicent spent many a summer exploring the lush spruce-fir forest and tidal pools. When her mother died in 1932, Millicent inherited the island and in 1935 partnered with the National Audubon Society to establish the first Nature Study Camp, which opened for students the following year. In 2010, Project Puffin, a department of the National Audubon Society’s Science Division, assumed responsibility for the camp and continue operating it to this day. Hog Island is now part of the Todd Wildlife Sanctuary, which also includes a 30-acre parcel on the mainland in addition to the 330-acre Hog Island. Several Duval Audubon Society members have enjoyed the Hog Island experience over the last few years. In 2012, Carly Wainwright attended the Chapter Leadership Program designed for active Chapter leaders in the Atlantic Flyway. President Judy Jeffas and Vice-President Carolyn Antman participated in Hog Island’s Leadership Camp in 2014, and a larger group, including Judy as well as Recording Secretary Pat Murphy and Treasurer Carol Bailey-White, attended “Joy of Birding” in summer 2015. Carol loved the experience so much that she returned to Hog Island in summer 2016 for “Arts and Birding,” a program that focused on observation of nature as a spark for creativity in the visual arts. Other programs offered at Hog Island include “Raptor Rapture,” “Field Ornithology,” “Family Camp,” “Sharing Nature: An Educator’s Week,” and several programs just for teens. Programs typically start on Sunday and end on the following Friday, with lots of adventure, learning and pure enjoyment in between. The island itself is stunningly beautiful. 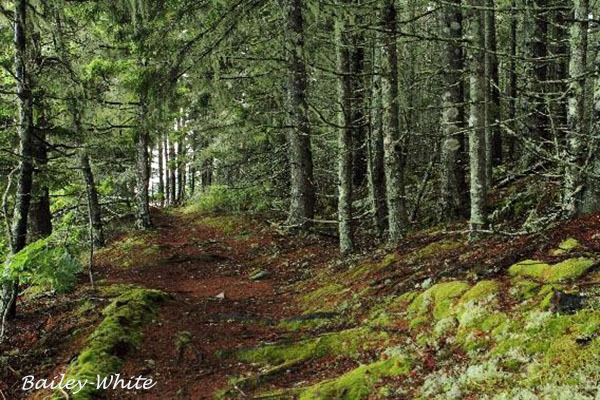 Hikers will experience thick spruce-fir forest, a rocky coastline, fascinating tidal pools, and lush green meadows. Songbirds like the Black-throated Green Warbler, Swainson’s Thrush, Northern Parula and Purple Finch are common sights (and sounds) on Hog Island. While a typical daily schedule on the Island is packed with lectures, field trips and evening presentations, there’s still plenty of time to explore the island on your own. 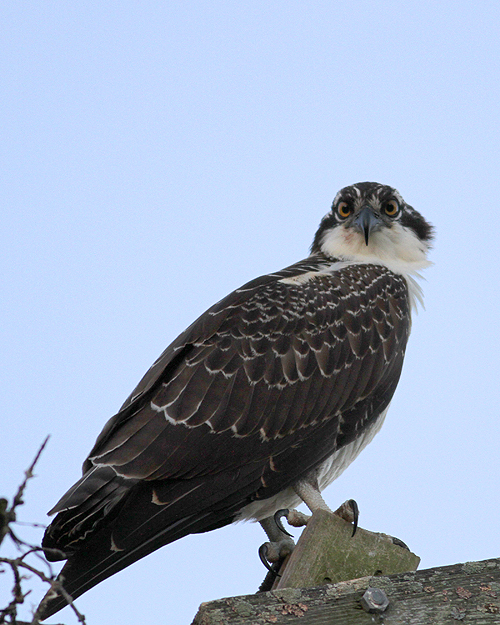 And don’t forget Audubon’s “Osprey Cam” stars Steve and Rachel, who nest on the island each year. Classes and field trips are led by world-renowned birding experts such as Pete Dunn, Charles Duncan and Steve Kress, to name just a few. To get the chance to just chat over dinner with the likes of Tim Gallagher (who until recently was the editor of Living Bird, the excellent publication of The Cornell Laboratory of Ornithology) or get photography tips from award-winning conservation photographer Melissa Groo is an amazing and wonderful opportunity. Speaking of dinner, head chef Cleo Bell is a genius in the kitchen. Cleo’s menus center on locally-sourced ingredients prepared with creativity and flair, resulting in absolutely delicious meals with options that cater to all special dietary needs. It is impossible to go hungry at Hog Island! Accommodations aren’t luxurious – this IS camp, after all – but the rustic surroundings only enhance the experience of being “away from it all.” Attending summer birding camp at Hog Island is a life-changing experience, and many campers love it so much they come back year after year. Registration for summer 2017 camp sessions just opened recently, but some programs tend to sell out quickly, so the earlier you can register, the better. Visit http://hogisland.audubon.org/ for more information, and happy birding! Diversity and Inclusion - An Audubon for Everyone! Audubon is truly for everyone. By the way, this was filmed at Hog Island so you can get an idea of what will be in store when you decide to visit!